Provide comfort for the family of Eric Worthington with a meaningful gesture of sympathy. Eric Scott Worthington passed away January 16, 2019. Eric was born June 3rd, 1959 in West Covina, California to Carl and Ann-Marie Worthington. The family moved permanently back to Boulder in 1961. 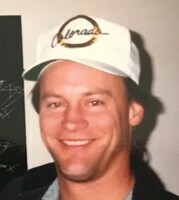 Eric attended Whittier Elementary, Nevin Platt Jr. High, Casey Jr. High, Boulder High and graduated from Evans Learning Center in Denver in 1977. Eric then embarked on a career in the building industry by working as a concrete finisher and carpenter That experience led to an interest in architecture as a profession and working for his father’s architectural firm. Wanting to learn more about architecture and the building process, Eric earned his Associate of Architecture degree from The Los Angeles Trade Technical College in 1989. After graduation, Eric went to work with one of the largest commercial contractors in California, CL Peck, as Plans Manager and Project Engineer. In California, Eric worked on major buildings in Southern California including the Ronald Reagan Presidential Library in Simi Valley where he met the former President. Elsewhere in California and Colorado, he worked in construction management for several other companies. 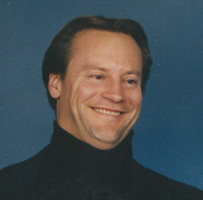 Eric’s knowledge and love for buildings led him to buy the home inspection firm Inspex of Boulder in 1995. Recognized as a leader in that field, he ran Inspex of Boulder until his death. In his career, Eric held certifications and/or licenses from the International Conference of Building Officials and other inspection professional associations, Colorado Division of Real Estate and Colorado Division of Insurance. Family and friends knew Eric for his sincerity, his compassion and his flair for life. More widely, he was known as an exceptional athlete in softball, baseball, tennis, wrestling, golf, skiing and more. He led some of the best amateur softball and baseball teams in Boulder, Los Angeles and Malibu to many titles and state championships. Eric suffered deteriorating health, starting with cancer in the 1990s and a stroke in 2009, followed by a recent diagnosis for aggressive prostate cancer. Eric is survived by his parents, Carl and Ann-Marie as well as his older brother Carl and wife Debbie (of Boulder) and his younger brother Kurt and wife Jennifer (of Berkeley CA), and numerous nieces, nephews, grandnephews and grandnieces. A Celebration of Life will be held at the Hotel Boulderado Events Center at Pine Street and Broadway in Downtown Boulder, on Sunday February 10, 2019 from 1:00 – 4:00 pm. Valet parking is available at $3.00 at the Pine Street entrance. Greenwood & Myers Mortuary is handling arrangements and maintains a web link for Eric where friends can post messages and find details — (303) 440-3960 or www.gmfuneral.com. In lieu of flowers, contributions can be made to the Eric Worthington Memorial Fund (sponsored by his family at Vectra Bank 2011 Ken Pratt Blvd, Longmont CO 80501-6572) or the Eric Worthington GoFundMe.com campaign (sponsored by his friend Rick Baker – gf.me/u/qbph4u). For information, contact the family c/o Aunt Sarah Rah at (559) 706-9310 or rah.sarah72@gmail.com. To send flowers in memory of Eric Scott Worthington, please visit our Heartfelt Sympathies Store. The Celebration of Life will be in the Hotel Boulderado Events Center from 1:00pm to 4:00pm. Valet parking is available at $3.00 at the Pine Street entrance.